Paints up to 300 faces! 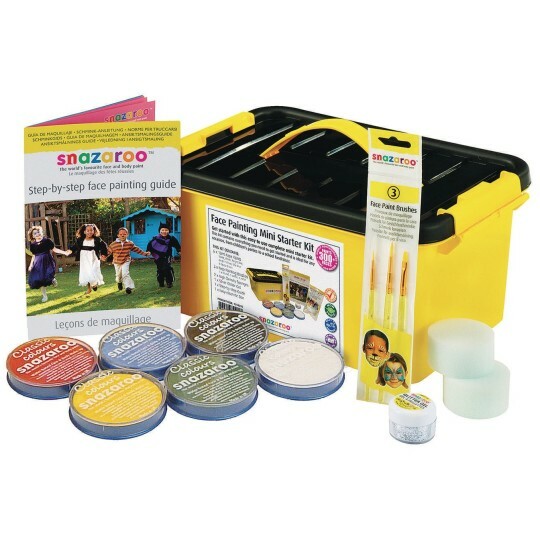 Complete kit contains six 18ml pans of highly-concentrated face paint in 6 colors, 3 brushes (round, fine, flat), 2 high-density sponges, a 12ml tube of silver glitter gel and a step-by-step instruction guide, all in a durable carrying case. Hypoallergenic and non-toxic. Will paint up to 300 faces.